A man, believed to be from Iran, has been handed over to immigration officers after he was found by police in Preston town centre last night. He was detained after police were told a sleeping bag and clothes had been found in a container of rice delivered to a business in the city. A police spokesman said: "We were contacted after sleeping bags and other possessions were located in a container of rice which has arrived in Preston from overseas. Concerns were that individuals were still inside. A search with a dog unit confirmed it to be empty." 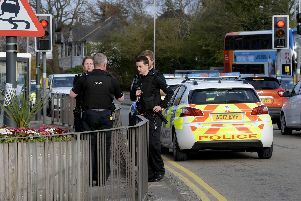 However, a man claiming to be Iranian was later found in the city centre and was handed over to immigration officials.